Just imagine how crazy her wedding will be! 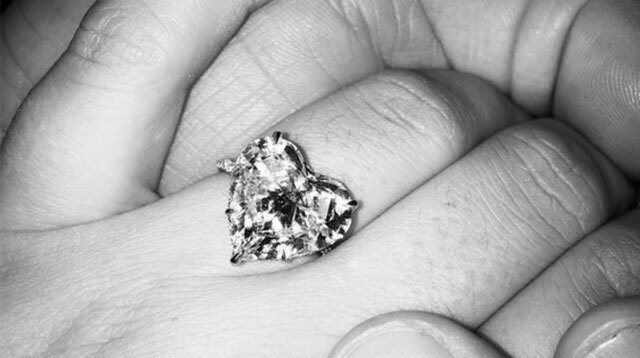 Lady Gaga announced on Instagram that her beau Taylor Kinney popped the question on Valentine's Day in Manhattan. She wrote: "He gave me his heart on Valentine's Day, and I said YES!" The two, who began dating in 2011, celebrated with their family at Gaga's parents' restaurant, Joanne Trattoria, in New York. Gaga and Taylor held a commitment ceremony last October to prove how much they mean to one another. A source said at the time: "Gaga wanted something visual, a commitment ceremony with the people who matter the most. "They don't have time to plan a wedding, so they decided they would have a small gathering to show the people they love most how committed they are to one another.It was just for her family and a few close art and designer friends.